Rugged professional grade custom with three premium balanced armature drivers and three way active electronic crossover design. Like all of our models it is designed to endure the professional musicians climate. Great clear audio with dynamic bass response. 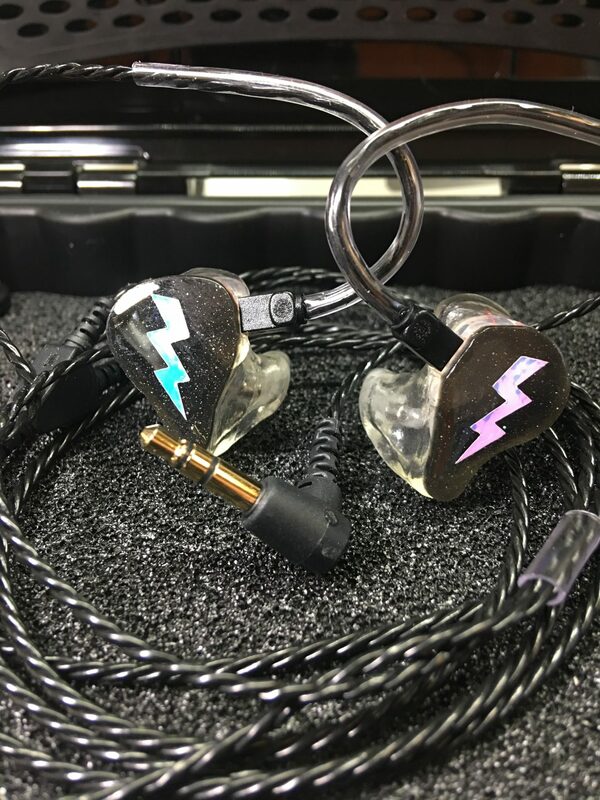 3-Way Electronic V9-TruEC© Crossover, Vibe-AR© Triple-Balanced Armature Drivers, Sensitivity to 1mV 113, Max SPL 131, Tuff-Pro Connect© w/max flex silver tinsel wire and gold plated contact, V9-ProShell© Hypoallergenic, Ccave Acoustics© with cerumen protection dual bore for acoustic balance.